Portland, ME -- Henrietta Juhl passed away in the afternoon on Thursday, October 27, 2016 at Gosnell Hospice House in Scarborough, Maine after a short illness. Henrietta was born in Holyoke, Massachusetts on July 27, 1921. She was the daughter of Henry Urban and Anna (Kundyra) of Holyoke, Massachusetts. Her three children survive Henrietta: Linda Fairburn (Eric Poulin) of Waterville, Maine; Edward (Susan) Juhl of Portland, Maine and Raymond (Ginger) Juhl of Whiteville, North Carolina. Two grand children: Jonathan Juhl and Grace Juhl of Whiteville, North and several nieces and nephews. Henrietta was predeceased by her parents Henry & Anna (Kundyra) Urban, a brother Thaddeus (Anne) Urban and sister Caroline Yeadon (William) all of Holyoke, Massachusetts, her late husband Raymond E. Juhl of Mesa, Arizona and her longtime companion John Alfred Reid of Skowhegan, Maine. Henrietta was a homemaker who worked as a waitress, hostess and was an Avon sales associate for many years. 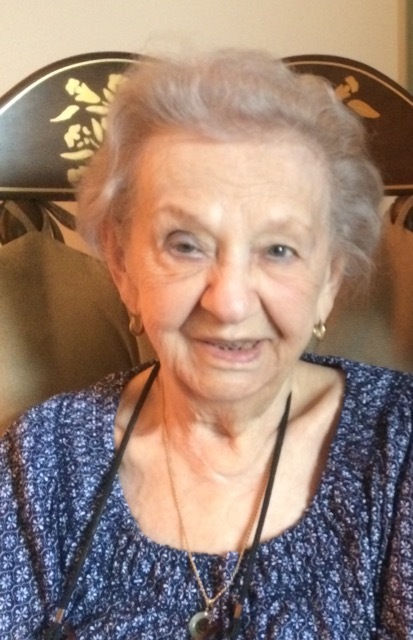 She loved her family and enjoyed sewing, cooking, gardening, playing Beano, buying lottery tickets and shopping. Remembrances may be posted on the web site of Advantage Funeral and Cremation Services of Portland, Maine. The family wishes to thank the staff of the assisted living community of 75 State Street, the Maine Medical Center Emergency Department and Gosnell Hospice House for the excellent care they provided to Henrietta.